ALL FAMS ARE CLOSED AT THIS TIME. PROCESS ENDED FEB 15TH, 2017. 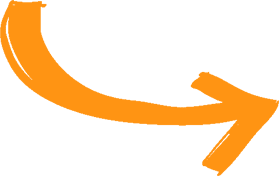 Participant’s flight arrangements should be made accordingly or if guests have a vehicle and prefer to, they may follow to destination, ride while in destination and return to Huntsville for departure at their leisure. Description: In the One & Only Tuscaloosa, we might get a little recognition for being the home of The University of Alabama, where the Crimson Tide Football Team has won numerous National Championships, but it’s what you DON’T know about Tuscaloosa that will really have people wanting more on their plate. We will give you the top 10 One & Only stories from “beyond the tailgate” told as any good Southerner would tell them, across the table – of course! 4. Capitol Cornerstone: The ruins of the State’s 2nd Capitol. Trivia: the “One & Only” became a City a day before Alabama became a State! 6. AL Museum of Natural History – Home of the only meteorite in the world to hit a human being, and the “Lizard King” fossil. 10. 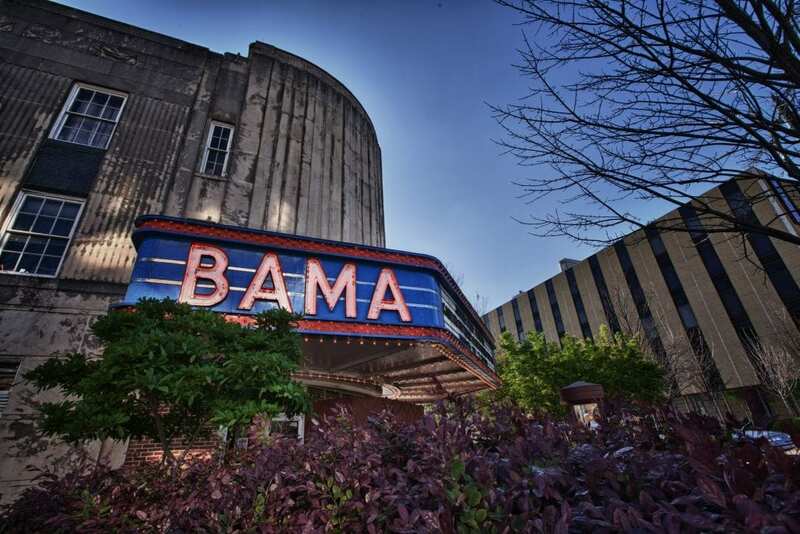 The ART of travel: The Kentuck Art Festival is ranked in the top 10 art festivals nationally, and the cultural scene here is full of surprises that are worth writing home about, including the Bama Theater, one of less than 117 operating atmospheric movie theaters left in the World. Stay tuned for these stories and more, in the One & Only Tuscaloosa! Description: The music heritage in Florence and Muscle Shoals, Alabama (an hour west of Huntsville) has seen a resurgence in the past few years with the release of the “Muscle Shoals” documentary. Located alongside the Tennessee River, Muscle Shoals helped create some of the most important and resonant songs of all time. Overcoming crushing poverty and staggering tragedies, Rick Hall brought black and white artists together during the racially turbulent decade of the 1960s to create music for the generations. He is responsible for creating the “Muscle Shoals Sound” and the Swampers, the house band at FAME Studios which is still open to the public. Today, Dr. Dre of Beats Electronics / Apple has invested in the renovation of Muscle Shoals Sound Studios where hits like the Rolling Stones’ “Wild Horses” and “Brown Sugar” were recorded. In addition to the Muscle Shoals Sound, Florence is the birthplace of W.C. Handy (Father of the Blues) and Sam Phillips (Father of Rock n’ Roll who discovered Elvis Presley). 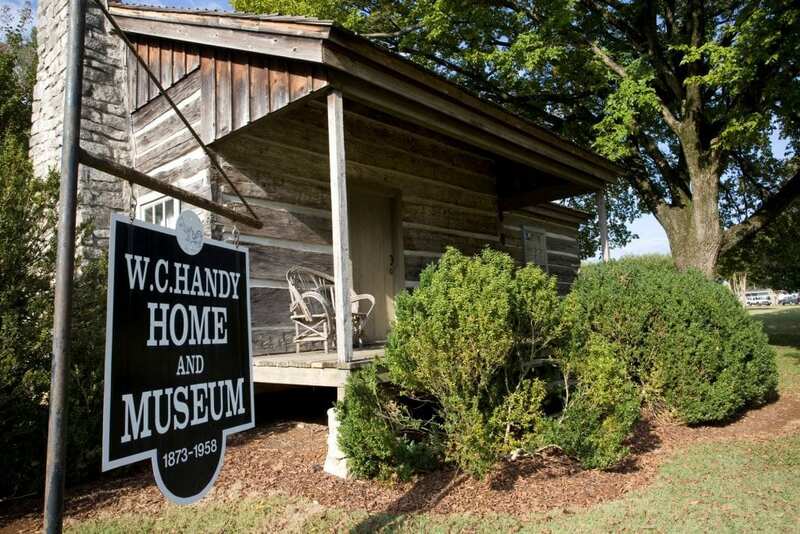 This music-filled post-tour will include tours of the studios and W.C. Handy’s birthplace, as well as good Southern cooking and live music each day (and night). Description: In the middle of it all, and steeped in the history of world-changing events, Montgomery is in the midst of another change – a complete reemergence. Meet creatives from all over Alabama at the premiere makers’ event of the South, Southern Makers. Explore the places that witnessed the Civil Rights movement spring up from the shadows of the Civil War, discover some of the most passionate new chefs inspired by the finest local purveyors in Alabama, and see why this revitalized riverfront capital city is quickly becoming one of the newest must-see travel destinations in the South. 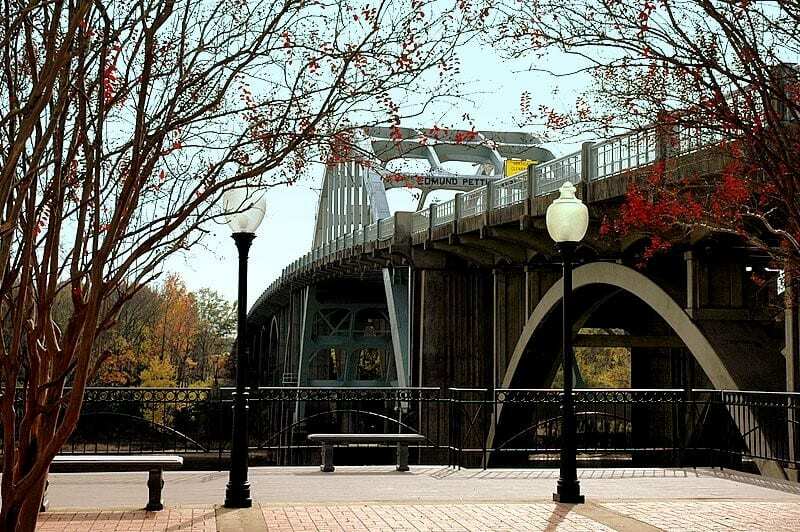 · Tours of the Rosa Parks Museum, Dr. King’s Church on Dexter Avenue, The Hank Williams Museum, Segway tours and soft adventures on the Alabama River like Stand-Up Paddle Boards or a cruise on a Pontoon Boat. ·Dining at the 100 year old Chris’ Famous Hotdogs, a local brewery, and up and coming finer dining restaurants Central and the A&P Social. Transportation: Included from Huntsville to Birmingham on Sunday, May 7th, and to Birmingham, AL, Birmingham-Shuttlesworth International Airport as departing flights require on. Chez Fonfon – This casual French Bistro, just next door to Highlands, is also owned by Chef Stitt. The bustling café focuses on provincial food and wine. The country pâté and moules are musts for those wanting a true taste of French dining. Just off the rustic patio, patrons so inclined can play boules. Bottega Café – The third in Stitt’s trio of restaurants, Bottega is a casual trattoria. The seasonal menu at Bottega includes naturally-raised meats and fresh organic vegetables. The café’s wood-fired oven turns out perfect pizzas and flatbreads. Bottega’s patio is one of the most popular places in town to dine. Galley & Garden –Inventive combinations here are paired with gracious service for an experience to savor. 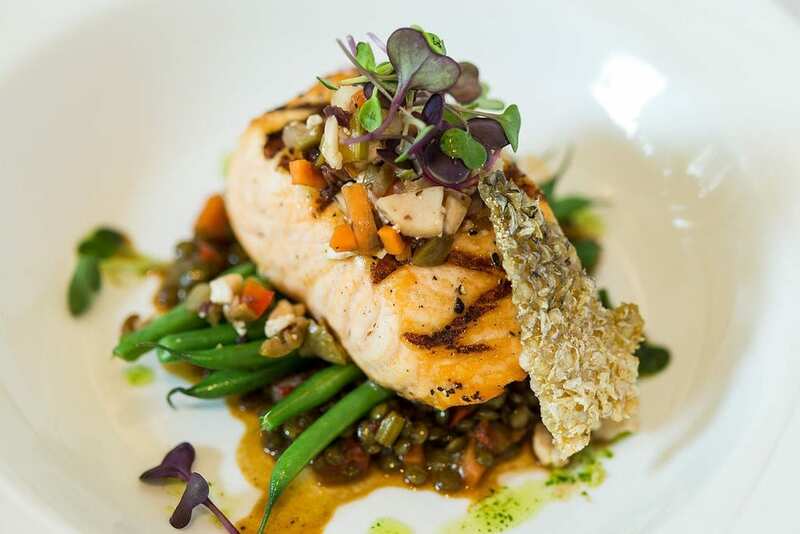 Chef James Boyce prepares modern American-French cuisine with Southern influences. Located in the historic Merritt House, the chef has enhanced the grandeur of the original home with gardens and an open galley for viewing food preparation. The Fish Market – A must-visit for the avid seafood diner, The Fish Market is a bustle with patrons who enjoy the busy atmosphere as well the Greek-influenced fresh seafood. Café Dupont – Part of the charm of this café is its setting, a 1870s renovated store in the heart of downtown. Chef/Owner Chris Dupont, like others, relies on locally grown produce for preparing top quality cuisine. Signature Dishes: Fried Oysters & Okra with Cayenne Butter Sauce, Seared Sea Scallops with Goat Cheese Soufflé, and Classic Beignets with Homegrown Strawberry Preserves. John’s City Diner – This downtown landmark attracts a crowd of patrons from surrounding offices for the noon meal. While the restaurant maintains much of its historic charm, a new menu reflects the growing sophistication of a food savvy community. Ocean – Sea scallops, halibut, grouper, tuna, salmon, sushi, lobster, fresh oysters on the half shell—all the very best and freshest of seafood is what Ocean offers diners at this casually sophisticated establishment. The restaurant is particularly well known for its extensive selection of fresh oysters and for its unusually good sushi. Five Point Public House Oyster Bar– With an industrial chic décor, this bustling bistro is fronted by garage doors that roll up to open the entire face of the restaurant. This is another favorite with the young business crowd at lunch and also is a popular spot for a late night dining. 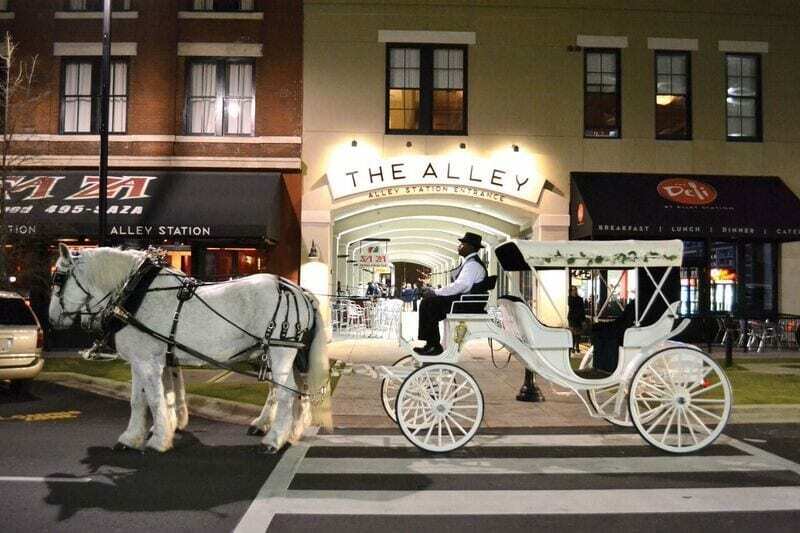 Uptown Entertainment District – Adjacent to the Birmingham-Jefferson Convention Complex, this district offers a variety of dining options, from gourmet hamburgers to fresh Gulf seafood. Uptown is also home to haute Mexican cuisine and the Todd English P.U.B., along with Octane coffee for an early morning or late night refresher. Description: This tour will be conducted by Master Tour Guide Barry McNealy. As most people of a certain age remember, the second American Revolution took place in the streets of Birmingham, Alabama. It was the battlefield of America’s Civil Rights Movement, a struggle for simple decency and common sense. The story of Birmingham’s role in the long march to civil rights has been told and retold around the world. With the opening of the Birmingham Civil Rights Institute in 1993, the city found a place to tell its own story. Tour Sixteenth Street Baptist Church national historic landmark The church often served as a meeting and rallying place for leaders and participants in the Movement. On a Sunday morning September 15, 1963, Ku Klux Klansmen bombed the church, killing four little girls preparing for morning worship. Today, the church is thriving and continues its historic role as an open-door church welcoming visitors, cultural, educational and civic activities. Tour Birmingham Civil Rights Institute The Institute is a “living institution” which views the lessons of the past as a positive way to chart new direction for the future. Through film clips, and a series of galleries, the Institute contrasts the lives of blacks and whites from the late 1800s to the present. An introductory film explains the birth of Birmingham as a mining community where blacks and whites lived side by side in mining town shanties-equal in their poverty. But by the first half of the century, segregation became the norm, on public transportation, at lunch counters and with Jim Crow laws suppressing the black population. Many powerful stories are told within the walls of the Birmingham Civil Rights Institute. Tour and sculpture viewing at Kelly Ingram Park Serving as the gateway to the Civil Rights District, Kelly Ingram Park is designated as “A Place of Revolution and Reconciliation”. During the 1960’s the public park was a place for uniting forces of grassroots resistance to racism and organizing marches, including ones in which police dogs and fire hoses were turned on the marchers. Sculptures in the park recollect attacks on the demonstrators, children jailed for their involvement in the protests, and the clergy’s important role in the Movement. In sharp contrast to the scenes of the ‘60s, paths along the Freedom Walk converge at a peaceful, reflective fountain, a life spring of hope. Four spirits monument The recently erected bronze monument in Kelly Ingram Park is a memorial to the four girls killed in the Sixteenth Street Baptist Church bombing. The piece was unveiled in 2013 during ceremonies in the park marking the 50th anniversary of the 1963 bombing. The life-size sculpture shows the girls on and around a bench, one tying a sash, one reading, one beaconing to the others, and one releasing doves. Birmingham-born artist Elizabeth MacQueen, who now lives in Berkeley, worked with her team on the sculpture for much of 2013. The memorial is on the corner of 6th Avenue North and 16th Street, facing the church. 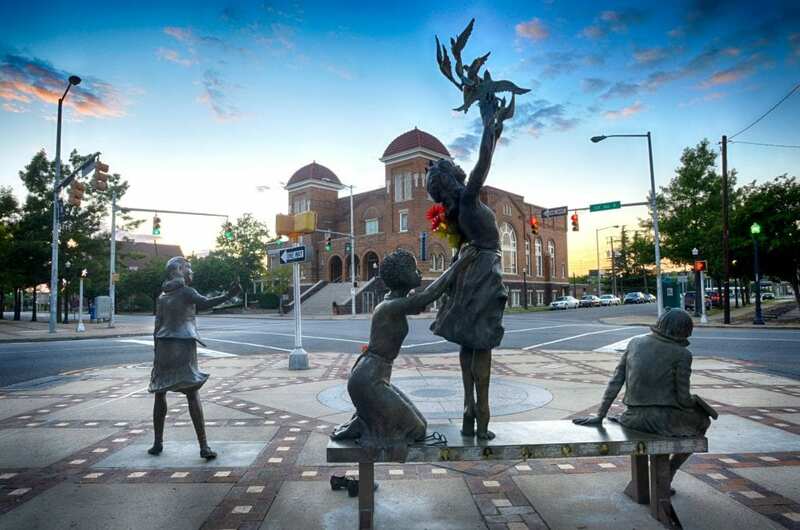 The sculpture also pays tribute to two young black boys, Virgil Ware, 13, and Johnny Robinson, 16, who were killed in racially charged crimes that same day. Tour alabama jazz hall of fame at the carver theatre Honoring great jazz artists with ties to the state of Alabama. Erected in 1935, the Carver was one of several theatres in the Fourth Avenue area offering first-run movies to African Americans. After renovations of the Carver Theatre as a performing arts theatre and the new home of the Alabama Jazz Hall of Fame and museum visitors travel from the beginnings of boogie woogie with Clarence “Pinetop” Smith to the jazz space journeys of Sun Ra and his Intergalactic Space Arkestra. Along with the priceless jazz memorabilia such as paintings, quilts, instruments, and personal effects of such artists as Ella Fitzgerald and W.C. Handy; interactive exhibits convey the accomplishments of the likes of Nat King Cole, Duke Ellington, Lionel Hampton and Erskine Hawkins and the music that made them famous. Tour historic 4th avenue business district This cluster of black-owned business was the core of African-American social and commercial life in the early 1900s and later when white-owned shops and stores refused to serve black customers. Many minority-owned businesses still operate today. Eddie Kendrick memorial park Down 4th Avenue North at 18th Street is the Eddie Kendrick Memorial Park, a tribute to Birmingham native and Temptations lead singer Eddie Kendrick, who traveled the world but never forgot his Alabama roots. Sculpted by Birmingham artist Ronald Scott McDowell, the Kendrick statue captures for eternity the magic moves of his Motown music. Inlaid in a granite backdrop behind Kendrick, the four other Temptations energize the work with their fine-tuned choreography. Driving tour of Smithfield Neighborhood A neighborhood developed in the early 1900s for prominent African American professionals who supported the Birmingham Civil Rights Movement. As a result many homes were dynamited in this section of the city that the area was called “Dynamite Hill.” Also located in Smithfield, Parker High School, Birmingham’s first high school for African-American students; James Armstrong Barbershop, was a founding member of the Alabama Christian Movement for Human Rights (ACMHR). In 1957, the entire Armstrong family took a lead in Birmingham’s efforts to end desegregation when Armstrong registered his children to attend school at Graymont Elementary, an all-White public school. When the children were denied entry, Armstrong filed a lawsuit and a team of lawyers, including Arthur Shores and Constance Baker Motley, handled the case. Six years later, Armstrong’s youngest children entered and desegregated Graymont Elementary School. Tour historic Bethel Baptist Church Collegeville Reverend Fred Shuttlesworth served as pastor from 1953 to 1961. The church buildings were bombed on three separate occasions, first on December 25, 1956, again on June 29, 1958, and last on December 14, 1962. The church complex was added to the Alabama Register of Landmarks and Heritage on November 13, 1996. It was then added to the National Register of Historic Places and declared a National Historic Landmark on April 5, 2005. Number of Participants: 6 persons – ground transportation, lodging, and meals provided. Hosts reserve the right to approve interested candidates. Description: Forever known as the birthplace of the Voting Rights Act and the cradle of equality, history lives on every corner in Selma, Alabama. 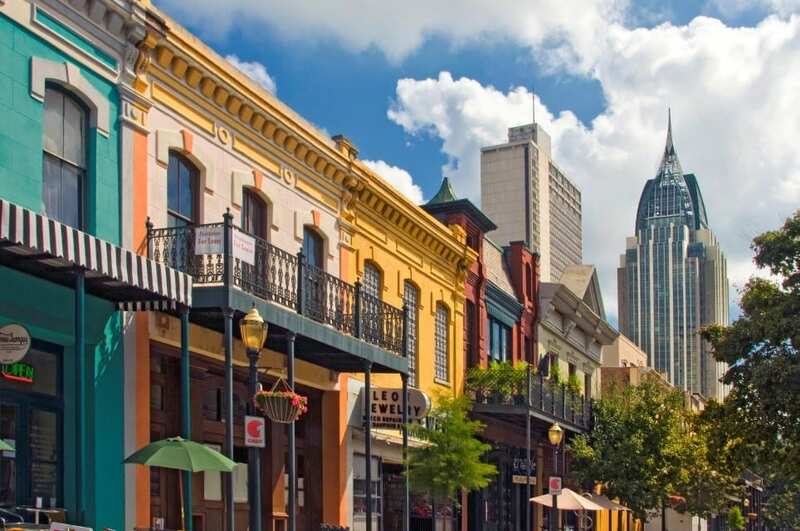 With its ties to both the Civil Rights Movement that swept the nation during the 20th Century and the Civil War that exploded in the 19th, this historic city holds an honored place in American history. Trace the footsteps of Martin Luther King and marchers in 1965 (and, most recently President Obama) over the Edmund Pettus Bridge, led by someone who actually experienced Bloody Sunday; enjoy mint juleps on the front porch of Sturdivant Hall, the finest example of Greek Revival architecture; stroll beneath ancient oaks and Spanish moss draped magnolias at Old Live Oak Cemetery, listed on the National Historic Register; take inspiration from the creative works of nationally acclaimed artist Charlie “Tin Man” Lucas and enjoy the entertaining stories drawn from people and places in rural Alabama that shaped each piece of art constructed of scrap materials. Your visit to Selma wouldn’t be complete without tickling your taste buds with some of the South’s greatest Que joints and meat ‘n’ three diners. Description: After channeling your inner astronaut at TBEX in Huntsville, it is time to switch gears to channeling your best beach bum/beach babe! Join Gulf Shores & Orange Beach Tourism as we showcase Alabama’s #1 tourism destination – the 32 miles of sugar-white sand beaches and turquoise waters of Gulf Shores & Orange Beach! 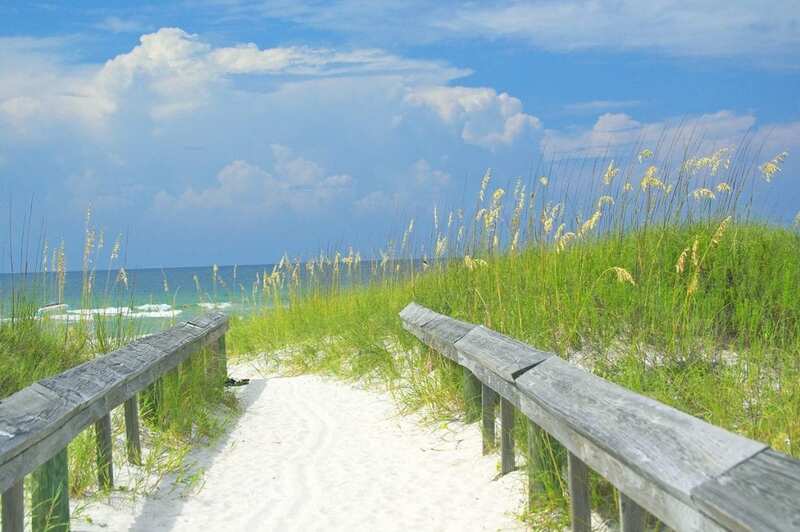 (We know what you are thinking … “Alabama has a beach?”) You will find yourself in a whole different state of mind on this three-day exploration of beach, nature, history, wildlife and – of course – amazing food. Description: As the birthplace of America’s Original Mardi Gras, one might say that in Mobile, we are “Born to Celebrate.” And, one would be right. Mobile has a certain magic that keeps you on your toes. With a vibrant 300 year history and long-standing traditions celebrated on a regular basis, Mobile has long been the cultural center of the Gulf Coast and you’ll find an authentic experience found nowhere else in the southern United States. · Explore our charming, historic city by foot, trolley or duck boat. · Be in awe at the Mobile Carnival Museum with jeweled crowns, lavish robes and gowns, colorful floats and all things Mobile Mardi Gras. · Hop on a kayak or a pontoon boat with experienced guides to explore one of the largest and most significant river Delta systems in the country – the Mobile/Tensaw Delta. · Watch as history comes alive via the Dora Franklin Finley African American Heritage Trail. · Devour incredible coastal cuisine. This really needs no further detail. · Experience unforgettable museums and attractions, including a US Naval Ship that served in WWII. Departure from Huntsville: Sunday, May 7th, 11:00 a.m.
Return: Monday, May 8th, 2:00 p.m. Description: We will travel about 50 minutes to Scottsboro, Alabama and enjoy lunch at noon at McCutchen’s Magnolia House where you will enjoy true southern fare in one of Scottsboro’s oldest houses. This Victorian house in the heart of our quaint small town and exudes charm and hospitality. We will then depart for True Adventure Sports at Little River Canyon where you will experience a beautiful and exhilarating experience zip lining! Not to worry- there is plenty of time between lunch and this adventure. This is GREAT for first time zip liners and a beautiful view for experienced zip liners. From Little River Canyon we will visit the workshop of Orbix Hot Glass, where you will see for yourself master glass blowers creating beautiful works of art. You will be able to assist in creating your one of a kind glass blown ornament for you to keep. Our dinner plans will continue with our time in the foothills of the Appalachian Mountains as we travel a short distance to Mentone, Alabama which is a darling artist town and home of the Wildflower Cafe. Moon (her real name), owner of this highly visited eatery, has created an eclectic atmosphere with an amazing menu. We highly recommend the tomato pie! It’s a bite of Heaven! To end our evening, we will drive approximately 45 minutes to Goosepond Colony Resort located on the Tennessee River in Scottsboro. There, you will stay overnight in cabins that will offer you a beautiful morning sunrise on the calm waters. 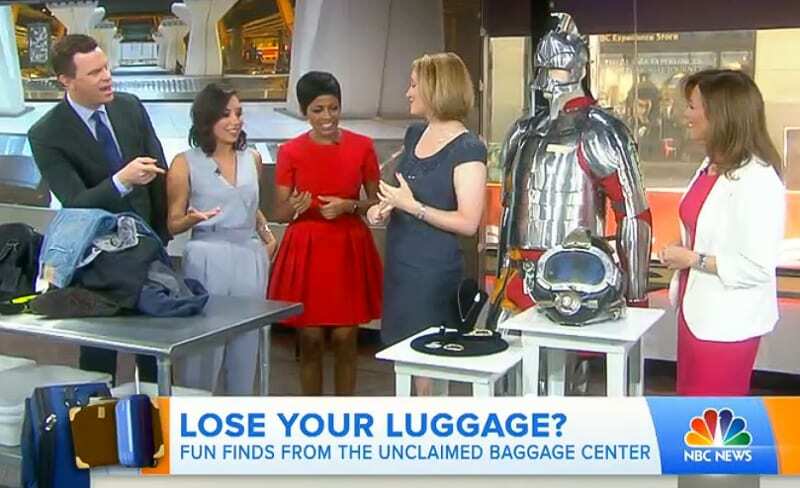 We will pick you up at 8:30 am, Monday morning, where we will travel to Unclaimed Baggage Center. We will host you for breakfast in our very own Cups Cafe located inside Unclaimed Baggage Center. We will welcome you with Starbucks coffee and a delightful breakfast with made from scratch pastries from our local hometown bakery, The Variety Bake Shop. During breakfast we will share with you our company history, and how our business works. Each of our participants will receive a $100 gift card to jump start your adventure shopping in the world’s only store that sells lost and unclaimed baggage. It is shopping like you won’t experience anywhere else! We have a few activities planned for you during your time at the store as well. We will wrap up our time at the store at Unclaimed Baggage with lunch in Cups Cafe, where you can choose from a tasty selection of sandwiches and salads. We will load up at 1 pm and return to Huntsville.